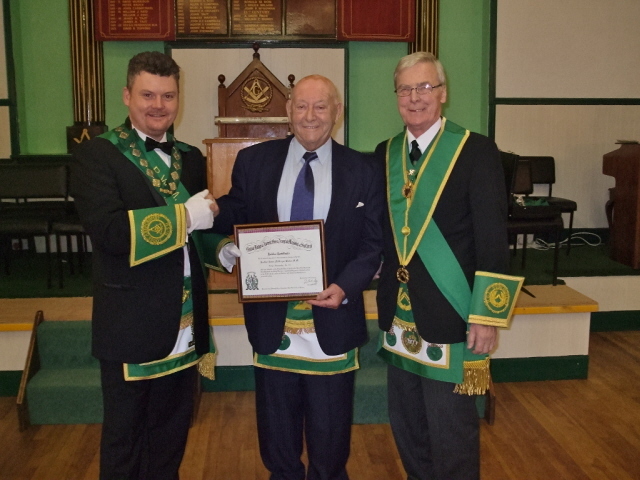 The picture below shows Bro James McGregor being presented with his 50 Years Jubilee Certificate from Bro. Dylan Dawson RWM. in Lodge Abercromby No 531 in the presence of the PSPGM. Bro Harry Malcolm on Tuesday 8th November 2011.